Burnetts marks the end of its partnership with a Lake District charity, as work gets underway on one of the projects the firm had chosen to support. While staff from the Lake District Calvert Trust and Burnetts marked the end of the charity partnership with mulled wine, mince pies and Christmas jumpers, work began on the Bowderstone Bothy in Borrowdale: the charity is transforming the remote, mountain bothy into a fully accessible venue for their disabled visitors, giving guests with wheelchairs the opportunity to enjoy a secluded area of the Lake District which has never before been accessible. The Lake District Calvert Trust was Burnetts’ first Charity of the Year, an annual good cause chosen by staff at the Cumbrian law firm. 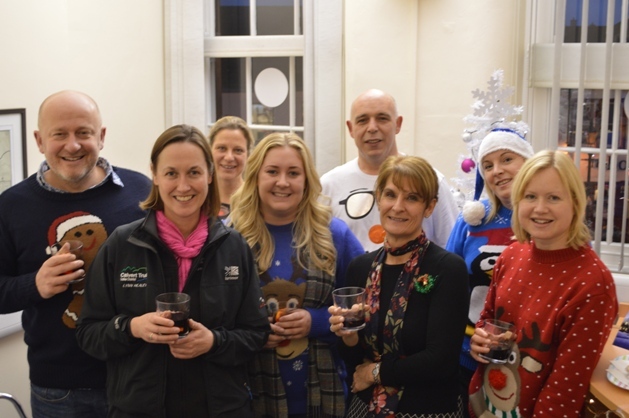 Partners and staff at Burnetts have spent the last 12 months running, hiking, dressing down, selling novelty balloons, Herdwick sponsoring, holding raffles and much more, raising an estimated £8,500 for the Trust. One of the firm’s objectives at the beginning of the partnership was to kick-start work on the Bowderstone Bothy. Burnetts 2017 Charity of the Year will be announced in January.